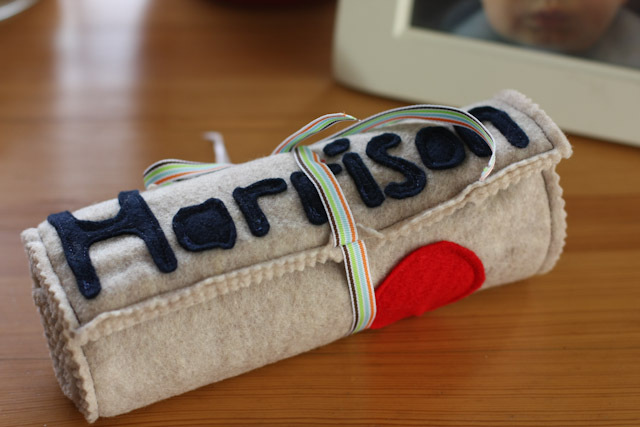 Along with finishing the bunting banner for Harrison, I have also wanted to make a felt pencil roll. 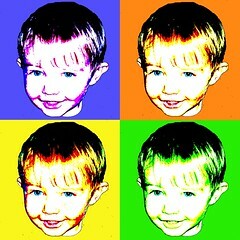 First we made one for a friend because his birthday was rapidly approaching. I decided to sew his name on with felt. It came out great (no pictures though)! 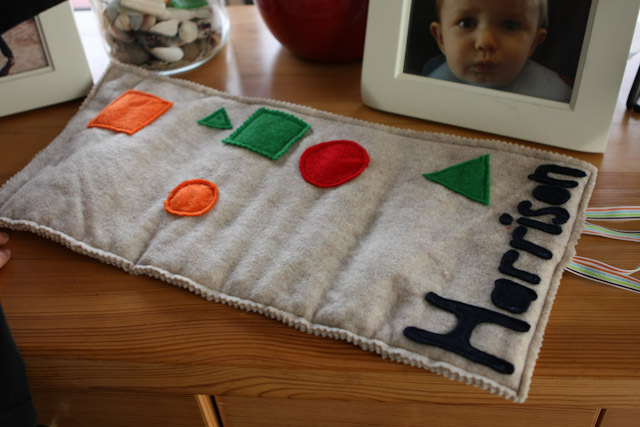 Then we made Harrison's; he decorated it with some shapes and insisted on his name, too. Only his name has eight letters and his friend's name only has four. 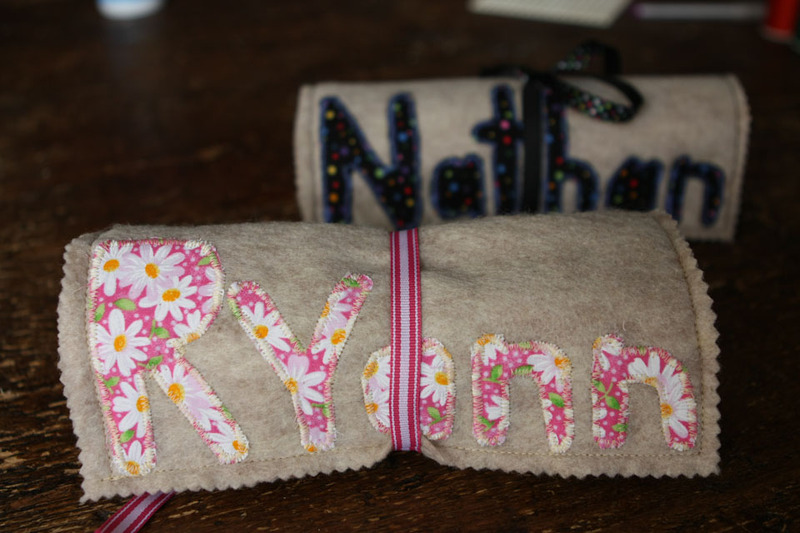 But I obliged because frankly, I LOVE personalized and monogrammed things. He helped with sewing the first two. Harrison took his pencil roll out for a test run on Fathers Day when we went out to dinner. Yup, it was perfect to have at the table while waiting for food to arrive. I'll be packing it for our trip to South Dakota later this summer. And if that isn't enough, I whipped out one more bunting flag banner this week for a birthday party Harrison has on Saturday, I admit - I like this one better than Harrison's! I planned to personalize it but got so excited about getting the flags all cut out that I sewed them right away! Luckily, I didn't sew the tops and I could get my hand in there. Now I'll head over to Carrie's to see what craftiness she was up to this week! Woo hoooooo! Look at you! LOVE the pencil rolls. i have a great little tutorial for a similar thing that I've never pulled out to try, now I really want to after seeing your beauties! 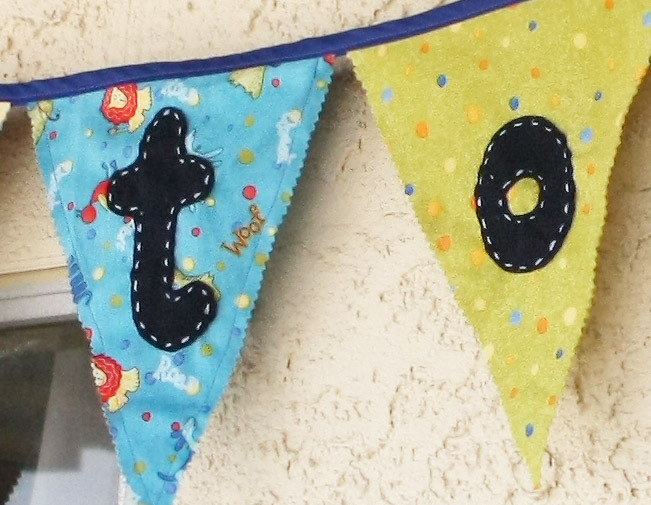 And I love the bunting too - you have a very nice hand-sewn look! Waaaay neater than mine! You were rockin' the craftiness this week. 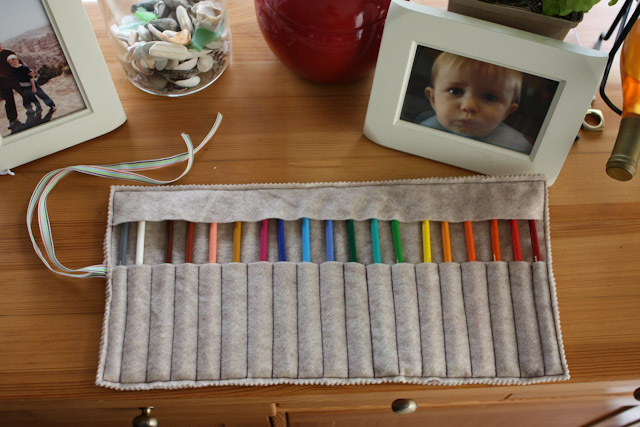 Those pencil rolls are adorable and that bunting is just perfect. You are on a roll. No pun intended. You are awesome, Rose! Look at you go! 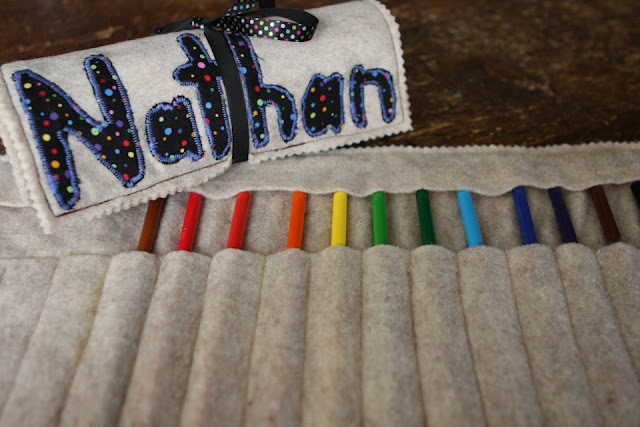 I adore your pencil rolls. What type of fabric and padding did you use? I made some awhile back, but they were much flimsier than these look. 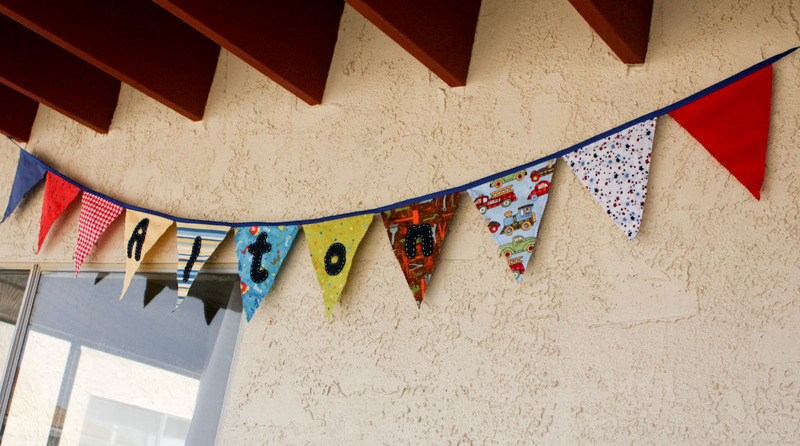 and the party bunting -LOVE it! I know that banner! Love it. Thank you sweetie!